How to use two-step login with single sign-on and be remembered for seven days. Many of the key business applications you use on a daily basis are accessed through the university's single sign-on system. These include popular Personal, Business, Instruction and Research Tools that you access from the menus above. 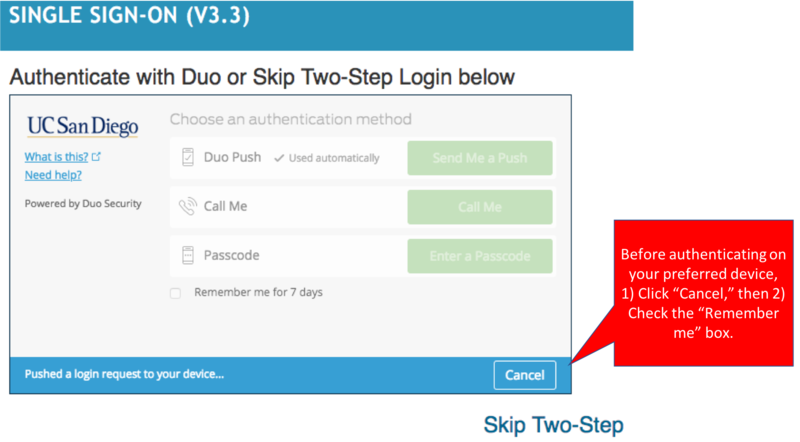 If you have your preferences set to choose a two-step device each time you log in, simply check the box next to "Remember me for 7 days" before choosing your two-step device (see Figure 1 below). Here are instructions for setting device preferences if you need a refresher. 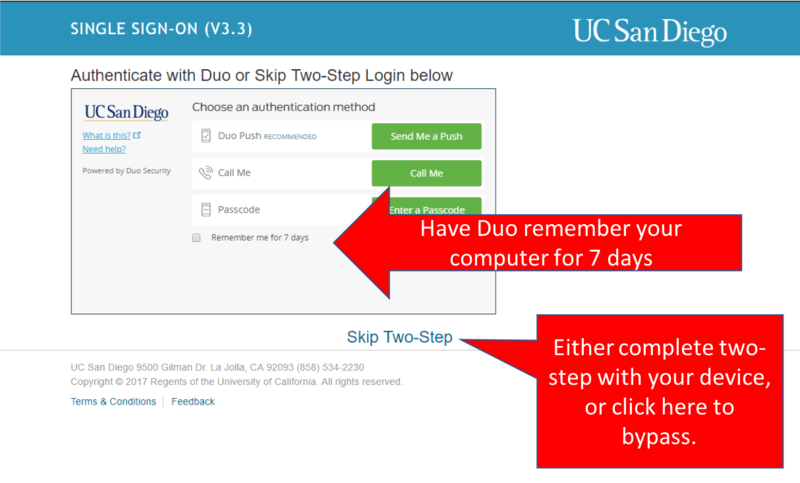 Figure 1: Skip two-step login, or tell Duo to remember your computer for seven days. Click the box next to "Remember me for 7 days"